Most of us believe that we are an independent, coherent self–an individual inside our head who thinks, watches, wonders, dreams, and makes plans for the future. This sense of our self may seem incredibly real but a wealth of recent scientific evidence reveals that it is not what it seems–it is all an illusion. “Bruce Hood is one of the most profound thinkers of our age who can also clearly communicate the complex and often confusing findings of science. 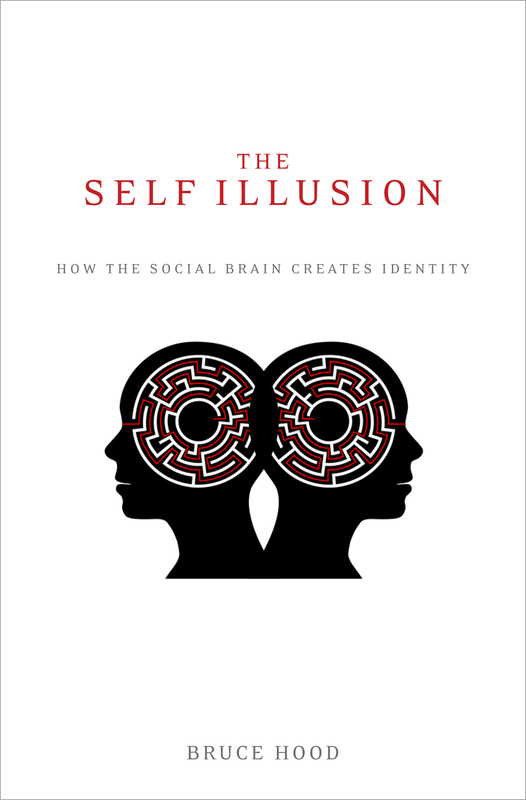 Even though the self is an illusion Hood restores our humanity through his masterful narrative of what makes us human.” — Michael Shermer, publisher of Skeptic Magazine and author of The Believing Brain. Where do such beliefs come from and why do most of us have them? I think that it’s partly to do with believing what we are told but I also think there is another more personal reason. Humans are born with brains designed to make sense of the world and that sometimes leads to beliefs that go beyond any natural explanation. To be true they would have to be supernatural. With scientific education children can learn that such beliefs are irrational but because they operate at an intuitive level they can either be resistant to reason or lie dormant in otherwise sensible adults. Therefore it is unlikely that any effort to get rid of supernatural beliefs, or the superstitious behaviors that accompany them, will be entirely successful. We are inclined from the start to think that there are unseen patterns, forces and essences inhabiting the world. This way of thinking is unavoidable, and it may be part of human nature to see ourselves connected to each other at this deeper level. Moreover, these beliefs may operate to bind individuals together on the basis of shared sacred values that transcend the mundane by becoming profound. In the vein of Blink, I explore how we may be pre-wired with a mind design that creates our SuperSense that shapes our intuitions and superstitions and is essential to the way we learn to understand the world and in binding us together as a society. “An intriguing look at a feature of the human mind that is subtle in its operation but profound in its consequences.”Steven Pinker, Harvard College Professor of Psychology, Harvard University, and author of How the Mind Works and The Stuff of Thought. “There has been a lot written about religion, superstition, and faith but there has never been a book like this. ….SuperSense is a joy to read, deeply clever and funny, replete with brilliant insights and observations.” Paul Bloom, Yale Professor of Psychology, author of Descartes’ Baby (Basic Books, 2004). “Excellent read for the layperson – no previous knowledge of child behavioural patterns needed! I would thoroughly recommend this book to non-believers and mystics alike!” Stephen Woolley Film maker, The Crying Game and Interview With A Vampire. “Reading SuperSense is like having lunch with your favorite professor–the conversation spans religion, biology, psychology, philosophy, and early childhood development. One thing is for sure, you’ll never see the world in the same way again.” Ori Brafman, New York Times bestselling author of Sway (Doubleday, 2008). “Magical thinking is a defining feature of the human mind – the source of all that is sublime and absurd about our species. 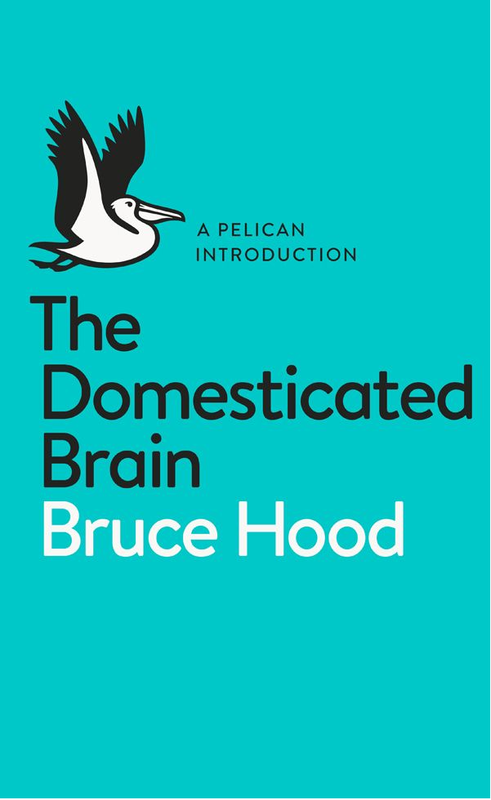 In this timely exploration of the psychology of irrational belief Bruce Hood pulls off the rare feat of being both authoritative and wonderfully entertaining. Brilliant.” Paul Broks, author of Into the Silent Land (Atlantic, 2003). “Bruce Hood’s SuperSense is sensational. Dr. Hood, a world-class scholar in the field of cognitive science, explains the many weird and wonderful ways that we humans naturally view the world as ruled by supernatural phenomena. The book is that rare combination of scientifically powerful yet accessible to the non-expert. A delightfully witty and thought-provoking look at what makes us human.” Susan Gelman, Frederick G. L. Huetwell Professor of Psychology, University of Michigan; author of The Essential Child (Oxford University Press, 2003). “Watch out! Bruce Hood, like his namesake Robin, is out to steal something dear to your heart – but all in a good cause. Read this beautifully written book, and you will lose some childhood innocence about how the world works. But – as Robin Hood used to leave his victims a posy of violets – Bruce will leave you wiser about yourself, and what it is to be human.” Guy Claxton, author of Hare Brain, Tortoise Mind: How Intelligence Increases When You Think Less (HarperPerennial, 2000). “To tell you the truth, I’ve been carrying Supersense around in my briefcase and dipping into it every chance for several weeks. This book is fun and thought-provoking, packed with observations that throw light on an amazing variety of subjects. Mostly, though, it is a compelling account of how beliefs in the supernatural world spring from the natural way our minds make sense of our experiences as we develop and grow.” Daniel M. Wegner, Harvard Professor of Psychology, author of The Illusion of Conscious Will. (MIT Press, 2002). “If we understood our own irrationality, and why so many people believe in ghosts, spirits, and invisible powers, then we might be able to improve the way we think. With quirkily fun examples and fascinating experiments Bruce Hood explains why we can’t always escape our Supersense.” Susan Blackmore, author of The Meme Machine (OUP, 1999). “a wonderful insight into why people believe the impossible. Supersense is a fun and thought-provoking read, with Hood equally at one describing lab experiments, real-life events and personal anecdotes. Regardless of whether you shun superstition or cross your fingers on a daily basis, you will find something here to challenge the way you see yourself and others” Richard Wiseman, author of Quirkology (Pan MacMillan, 2007) in July’s BBC Focus. Bruce Hood’s fascinating, timely and important book..Hood’s presentation of the science behind our supersense is crystal clear and utterly engaging ….perhaps the millions who read and loved that book (Dawkin’s God Delusion) can also read – and learn to love – Supersense. –New Scientist March 2009. 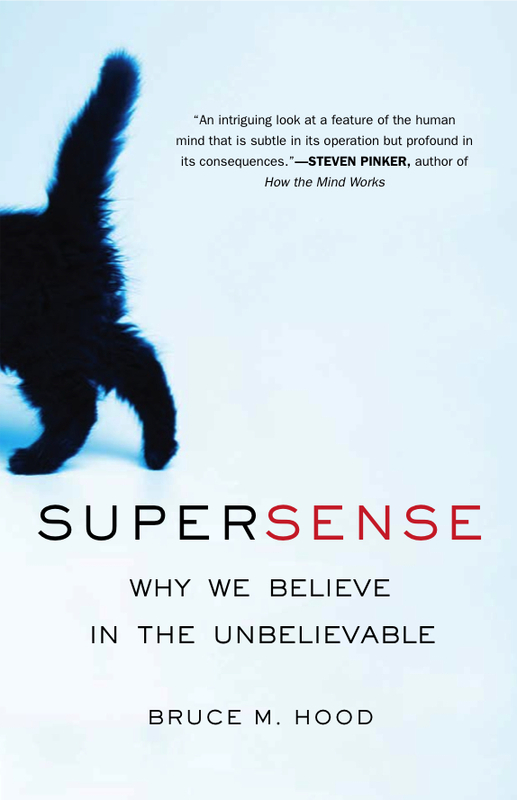 Here is an amazing review by Michael Shermer in the leading scientific publication, “Science.” Bruce M. Hood’s marvelous new book, SuperSense: Why We Believe in the Unbelievable. In an account chock full of real-world examples reinforced by experimental research, Hood (a cognitive psychologist at the University of Bristol) builds a theoretical model to explain how the mind comes to sense that there is something beyond the natural world, something supernatural.…..Hood knows that the supersense is all pervasive. For that reason, his book is an important contribution to the psychological literature that is revealing the actuality of our very irrational human nature. – SCIENCE June 2009.